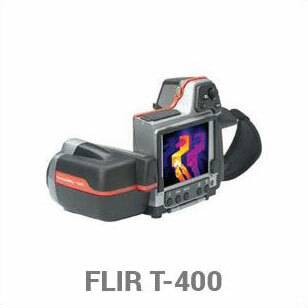 The cameras that Thermo-View utilize are manufactured by FLIR, a world renowned infrared camera manufacturer. We have two cameras that we rely on, the T640 and T400. 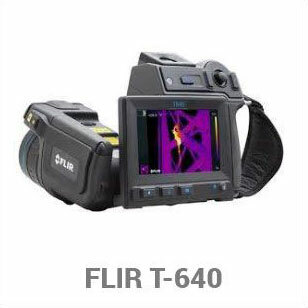 The T640 camera has a resolution of 640x420 which provides superior image quality that are competition cannot match with their low cost imagers. These cameras record infrared and digital images simultaneously which are reflected on the report pages. This enables the client to easily see the components or the areas being scanned. The span that our camera provides is from -40dgC to 2000dgC, this large span enables us to view the temperatures of most applications we have encountered. 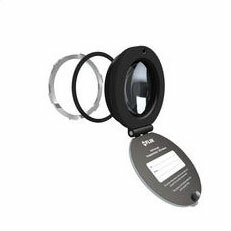 Higher temperature requirements would require specialised lens and cameras. We have invested in a long range 7dg zoom lens for the T640 camera. 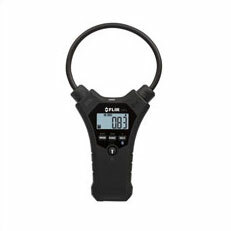 This enable the technician to record temperatures on components at a distance and provides excellent resolution of the image. Our cameras can provide video recordings using the MPEG-4 standard, we can provide images in a variety of modes, fusion, mid-digital, mid infrared which at times simplifies the analyzing of the recorded image. Any image can be directly downloaded to a USB key immediately if required. This information provide you with a glimpse of the power and functionality of our cameras. Better equipment provides you the client with higher quality recordings and reports. 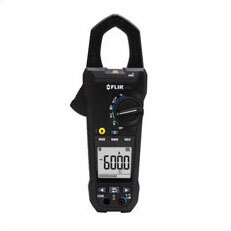 Thermo-View can help and provide you with power consumption and loads recordings. With the use of either of our two recorders/analysers we can provide valuable information on the health of your electrical systems. These recordings can help in your pdM programs or if future renovations include additional loads to your circuits. The loggers provide the following information: energy consumption, maximum and average electrical loading of a circuit, harmonics, swells sags or micro-events. 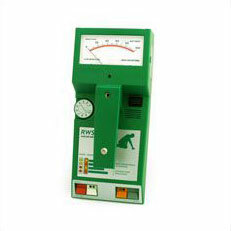 The recorder can be programmed to record for a pre-determined time as required. Long recordings can last one week. 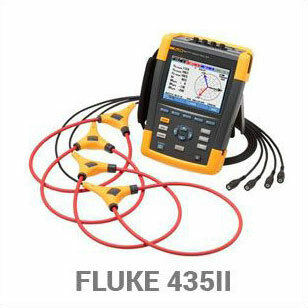 Paired with FLUKE’s software we can then “see” the condition of the electrical circuit recorded. This can help in pinpointing an event happening which causes circuit anomalies, can determine if more loads can be added to an existing circuit or even determine it the problem you have is related to your hydro supplier. Once you have the report in hand you can make better decisions in the planning and design of your electrical system. This will save you time and money. Thermo-View has two different recorders/analysers. 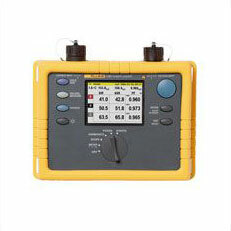 FLUKE 435II and a 1735, both are certified CATIII @ 600V and have the recording capability to 3000 amperes. We can connect to single or three phase systems, with either wye or delta configurations. Our recordings are submitted either on paper or electronic formats. Thermo-View has acquired another NDT tool to assist with their preventive maintenance services. 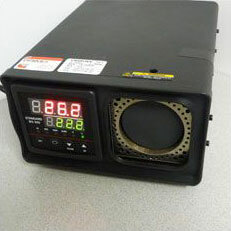 The Ultraprobe 3000 from UE Systems. This tool is an airborne ultrasonic detector which helps in pinpointing small pressurised leaks in closed systems. 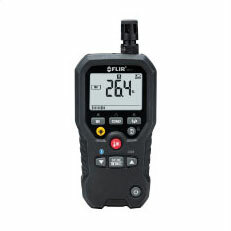 This tool can help the client in saving time and money in finding air leaks which are then repaired causing a pressurised system to work more efficiently. A compressor that works less costs less.. Be proactive on all of your preventive maintenance programs. It pays in the long run. Thermography is an excellent tool to find temperature variations but thermography does not “hear” faulty components. 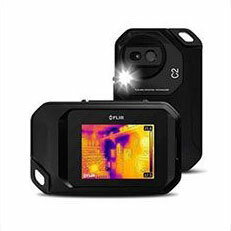 Ultrasound will detect a bad bearing before it starts to overheat, will detect air escaping a pressurised system or air infiltrating a vacuum system, thermography will not. Both technologies complement each other. Once an anomaly is detected by either technology, the other technology can be used to confirm the problem. The UE3000 is a tool which captures high frequencies waves generated by equipment such as rolling bearings, electricity, vacuum and pressurised systems to name a few. These frequencies can run from 20 KHz to 100 kHz which is much higher than the human ear can hear. The human ear can “generally” hear a frequency to around 16 KHz at the high end of the spectrum. 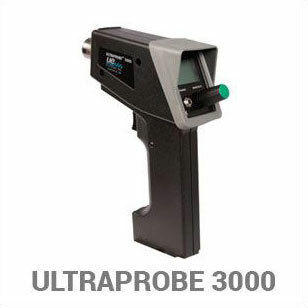 Our Ultraprobe 3000 can help to detect and identify problem areas. The values are recorded in dB’s then transposed in a software program to generate values in losses which provide actual cost in dollars lost. Air is not free, it’s expensive to generate and very costly when the systems are inefficient. Thermo-View has a level 1 Airborne Ultrasound certified technician.